Prepare burger to taste. 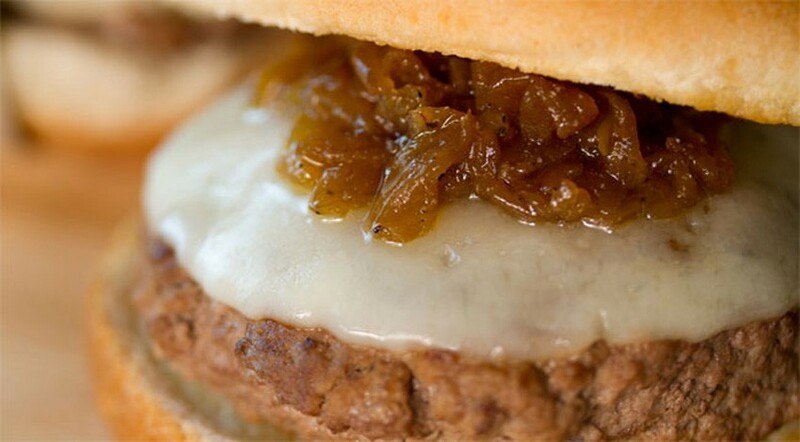 Top with 1 slice of Swiss cheese and 2 ounces of Caramelized Style Onions. 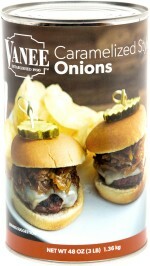 Place on bun and serve with side of chips (or fries) and a pickle.